When will be Inside Versailles next episode air date? Is Inside Versailles renewed or cancelled? Where to countdown Inside Versailles air dates? Is Inside Versailles worth watching? A closer look at the history behind the drama series Versailles. A closer look at the history behind Versailles. In this episode, Professor Kate Williams and Greg Jenner explore Louis XIV's troubled relationship with religion. A closer look at the history behind Versailles. In this episode, Professor Kate Williams and Greg Jenner shine a light on Philippe's new bride Liselotte. A closer look at the history behind Versailles. 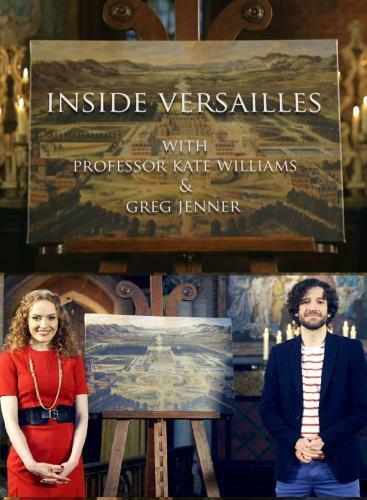 In this episode, Professor Kate Williams and Greg Jenner examine how Louis XIV created an absolutist monarchy during his reign. A closer look at the history behind Versailles. In this episode, Professor Kate Williams and Greg Jenner discuss Louis XIV's premier valet Alexandre Bontemps. Inside Versailles next episode air date provides TVMaze for you. EpisoDate.com is your TV show guide to Countdown Inside Versailles Episode Air Dates and to stay in touch with Inside Versailles next episode Air Date and your others favorite TV Shows. Add the shows you like to a "Watchlist" and let the site take it from there.